As a kid, Josh Morrissey met his hockey idol on a couple of occasions. Almost 10 years later, the two would meet up again, this time on NHL ice. He wasn’t quite yet a teenager when he stood outside the Calgary Flames dressing room with his younger brother, both eagerly awaiting the moment their favourite player would walk through the doors. The young minor hockey defenceman wasn’t sure what he was going to say, or if he would even be able to say anything, when he shook hands with Jarome Iginla. But a big smile from the beloved Flames captain put the Morrissey siblings at ease. For someone who faithfully followed Calgary and their leader, it was an unforgettable moment. It wasn’t the last time the pair would see one another face-to-face. 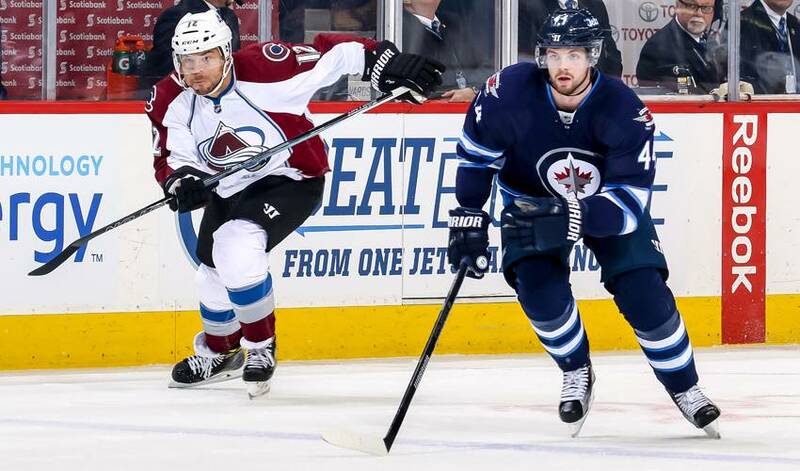 Last year, Morrissey, in his first full NHL season, had the opportunity to play against Iginla, Calgary’s all-time leader in goals, points, and games played, when the Jets traveled to Colorado take on the Avalanche. After the game was over, Morrissey, who was selected 13th overall by Winnipeg in 2013, walked away with another prized addition to his personal collection of Iginla memorabilia. Just as important, noted Morrissey, is how Iginla’s kind acts, 10 years ago and in 2016, have impacted him in his NHL career.